The comics creator shares portraits of Jack Johnson, Alice Coachman and many more. In honor of Black History Month, artist Francesco Francavilla has been sharing portraits he’s done of various Black athletes, including Jack Johnson, Wally Triplett and Alice Coachman. He’s been sharing them on both his Tumblr and his Twitter feeds. Tillie Walden, Francesco Francavilla, David Mazzuchelli, Tom Gauld help turn New York news stories into compelling comics. The New York Times Magazine has posted their very first all-comics issue, which features cartoonists turning stories that came through the NYT Metro desk into comic strips. Tom Gauld, Sammy Harkham, Tillie Walden, Francesco Francavilla, David Mazzuchelli and several others contributed strips, while Kevin Huizenga provided the introductory strip that explains the concept. You can view all the strips by going here. 2016: Year of the (Black) Beetle? Francesco Francavilla takes to Twitter to tease the return of ‘The Black Beetle,’ his well-regarded pulp comic from Dark Horse. Our long, national nightmare may soon be over, as creator Francesco Francavilla teased on Twitter the return of The Black Beetle. 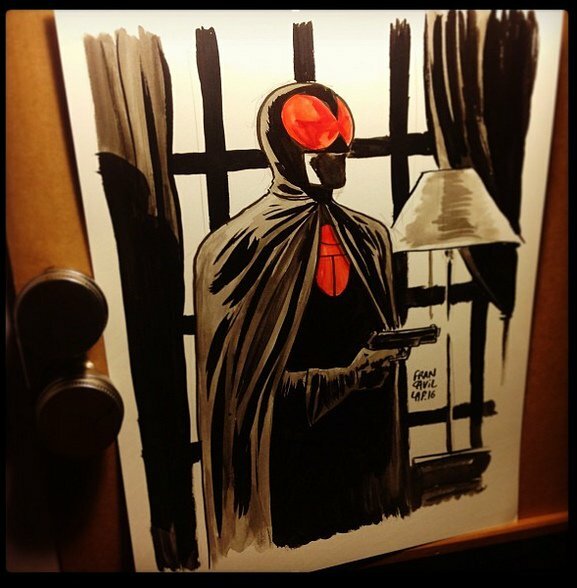 Francavilla posted an image of the pulp hero with the hashtags #TheYearOfTheBeetle and #BlackBeetleReturns. No word yet on when the excellent series will return, but we’ll keep our eyes peeled for it. Author JK ParkinPosted on January 2, 2016 Categories Comic BooksTags comic books, Dark Horse Comics, Francesco Francavilla, The Black BeetleLeave a comment on 2016: Year of the (Black) Beetle?